We all have BFFs in our lives, they are like life to us and one thing we all wait is them to get married. 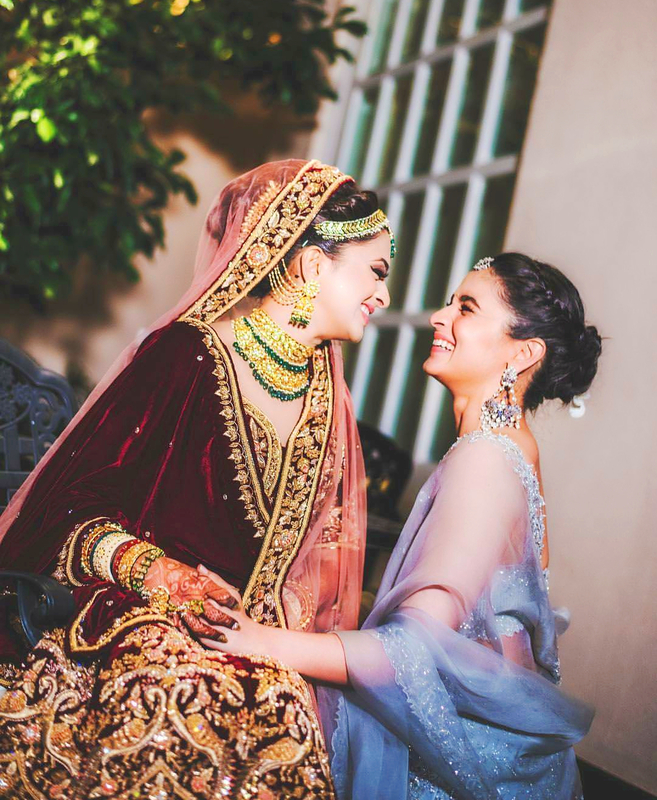 When it comes to your best friend’s wedding then no matter what you do, or where in the world you are, your BFF’s wedding is one event you wouldn’t want to miss for the world. Alia Bhatt is no exception. She is the best BFF one can ask for. 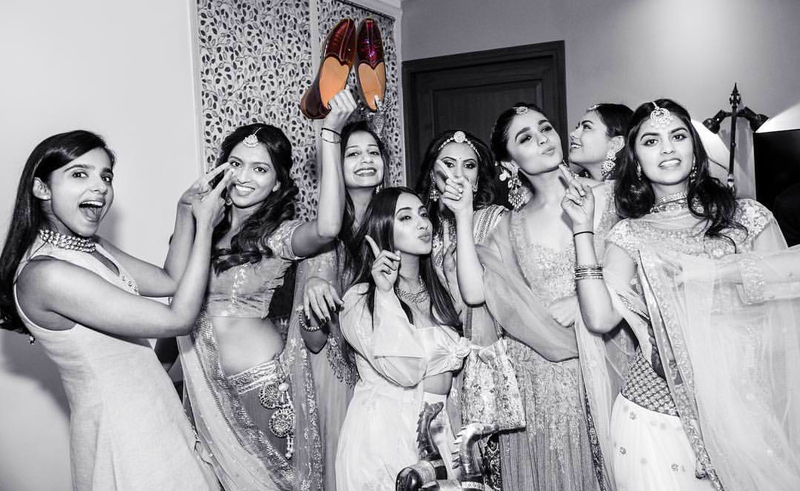 Instead of her busy schedule, she makes sure to make time for her besties. 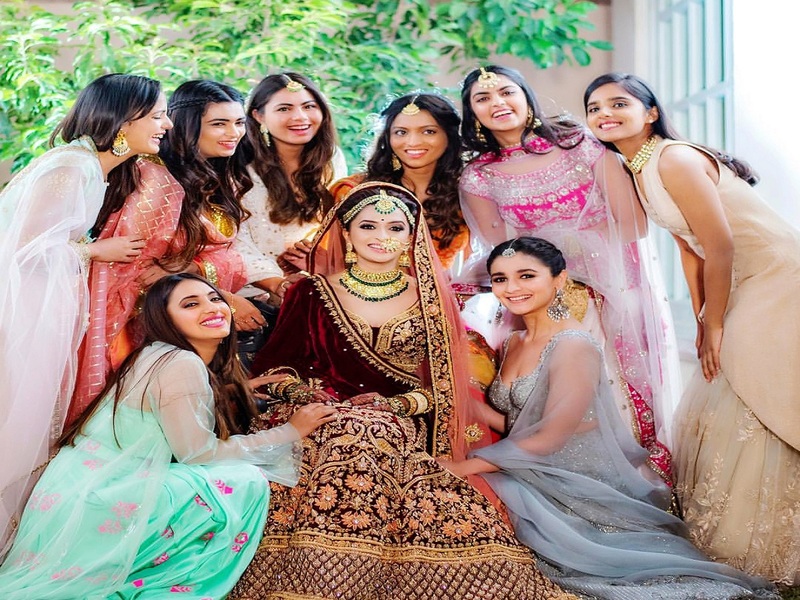 Recently her best friend-Kripa Mehta tied the knot in Jodhpur and Alia Bhatt proved to be the perfect bridesmaid for her best friend Kripa Mehta’s wedding and enjoyed the wedding festivities to the fullest-right from the wedding pre-parties in Mumbai to the wedding pheras in Jodhpur. 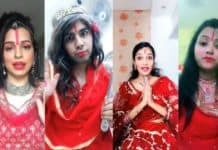 The actor looked every bit gorgeous in all her different avatars. 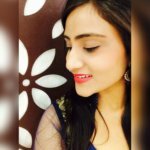 She gave some major goals and some great fashion tips for those who are planning to attend a wedding. 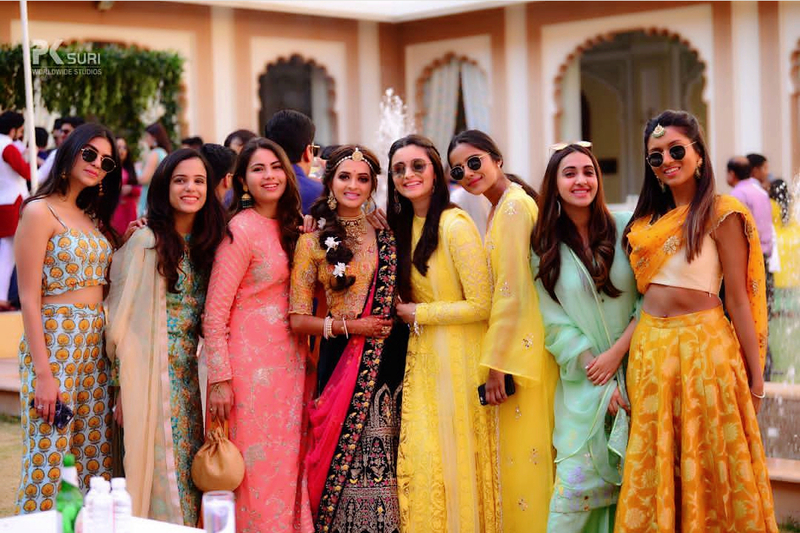 We are totally obsessed with Alia Bhatt’s pictures from her best friend’s big fat Indian wedding. 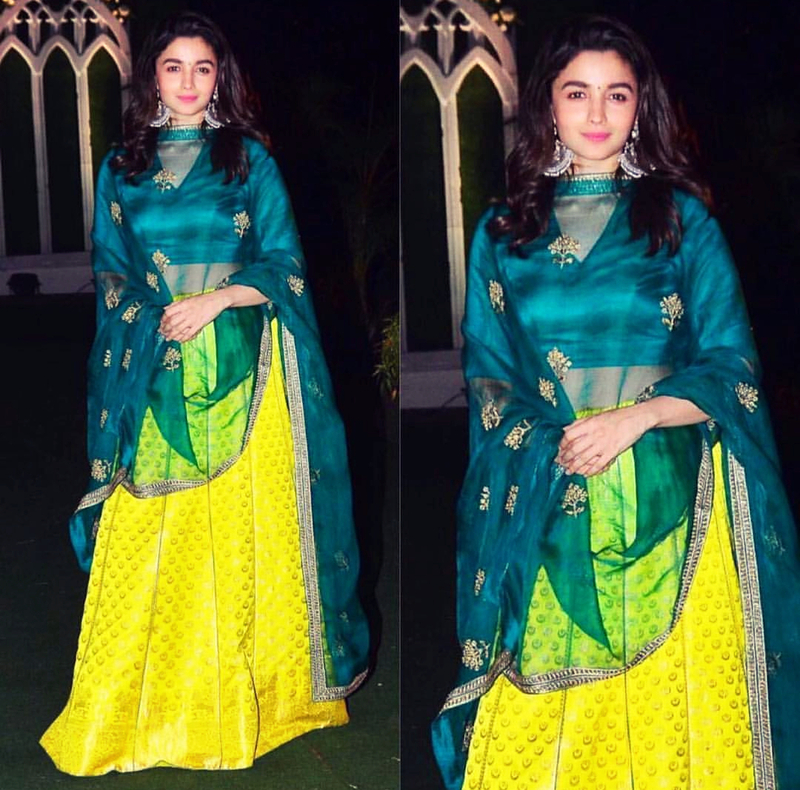 Alia Bhatt donned a canary yellow raw Mango lehenga with a peacock green blouse at her BFF’s Roka ceremony in Mumbai. 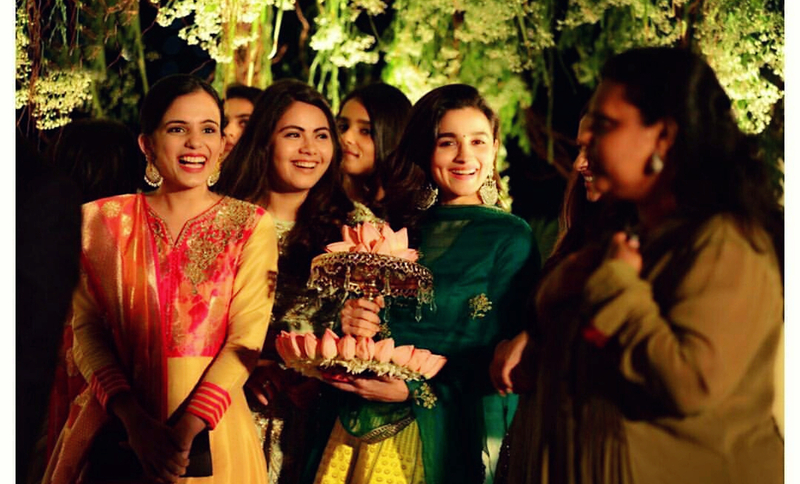 For this party, she wore a comfortable a very cool girlie-hued dress that was adorned with bright floral designs. She carried this dress with heavily kohled eyes. She is shining like a star in this beautiful mirror work Atelier Zuhra gown. 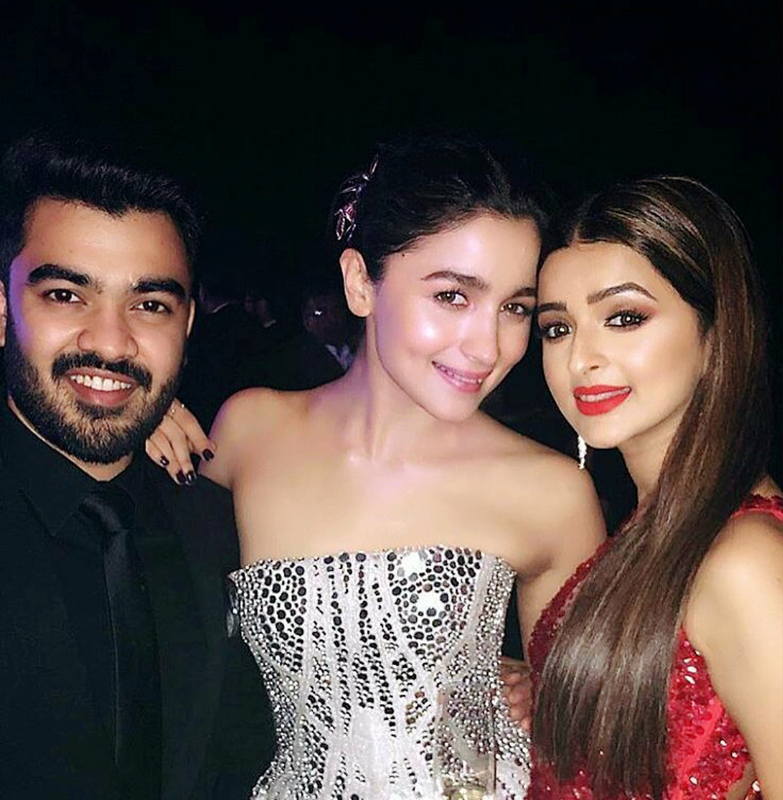 Alia Bhatt with the beautiful bride and the groom in the party. 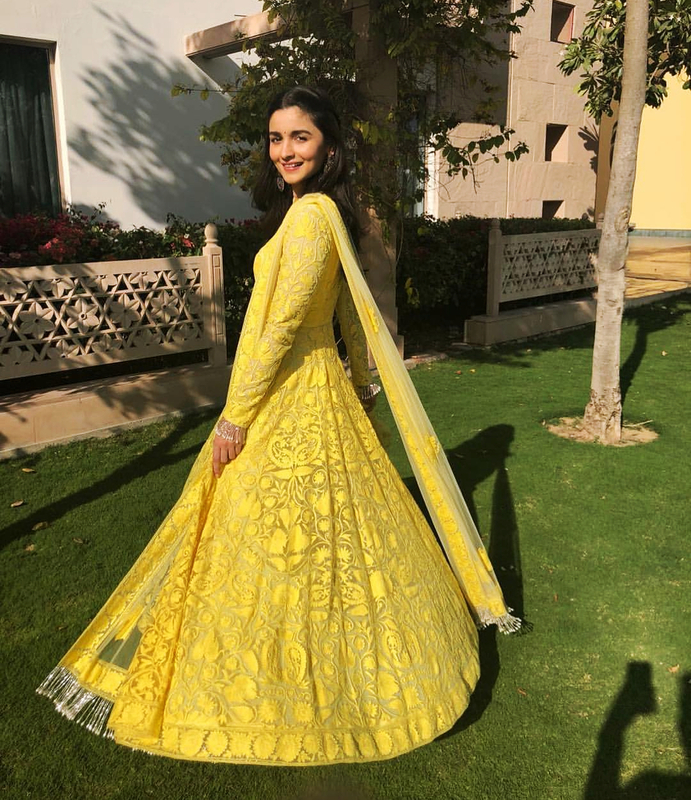 For Mehendi, she sported an Anarkali suit and looked bright and cheerful in this Manish Malhotra sunshine yellow attire that featured Kashmir-inspired thread work all over it and looked like a million bucks. 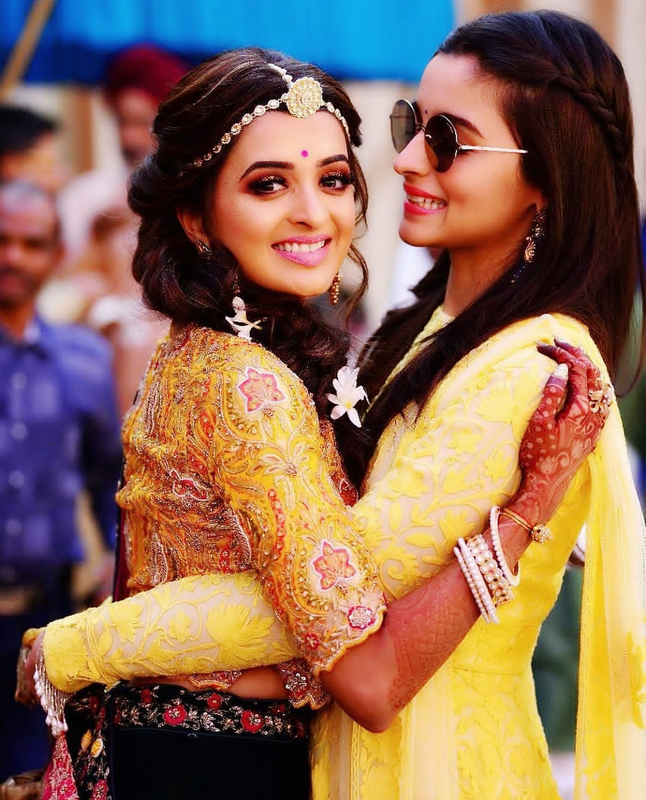 Beautiful Alia with the beautiful bride. 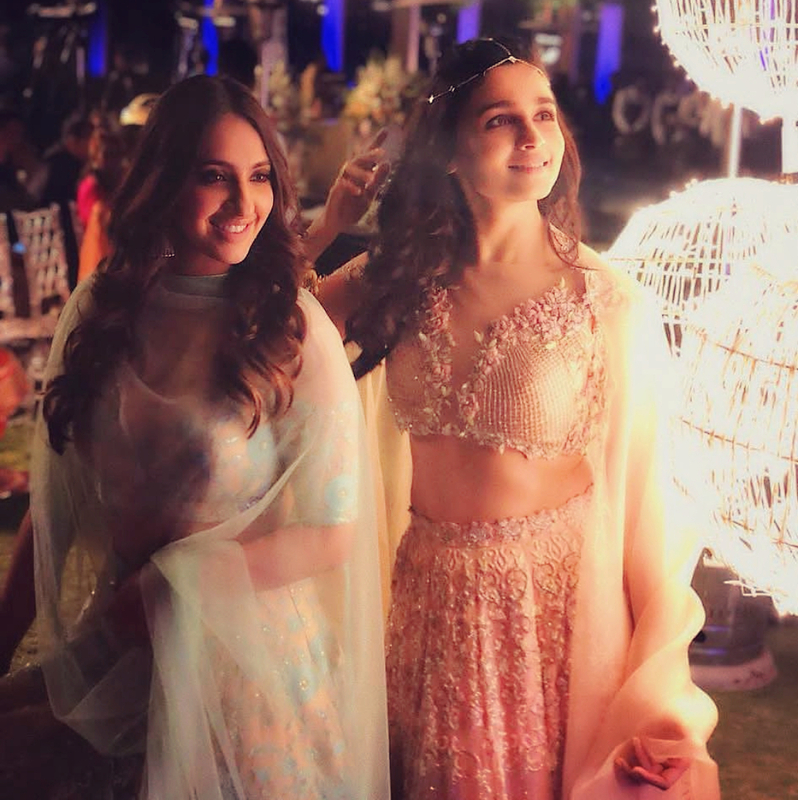 For sangeet ceremony, Alia chose to wear a pastel shade lehenga from Kresha Bajaj’s collection and looked no less than a diva. 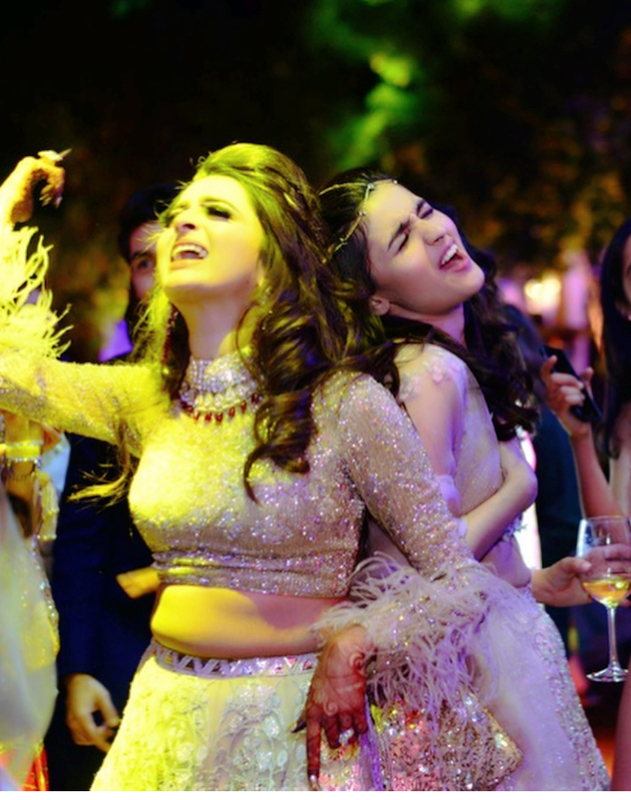 Twirling with her best friend Akansha Ranjan Kapoor. What a beautiful shot, Isn’t it?? 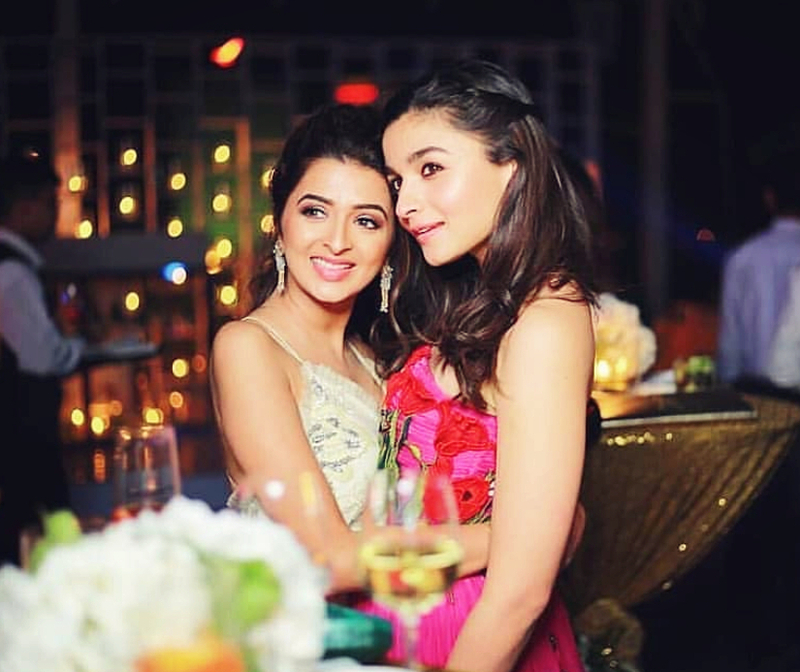 Totally love this picture of Alia with her friend. 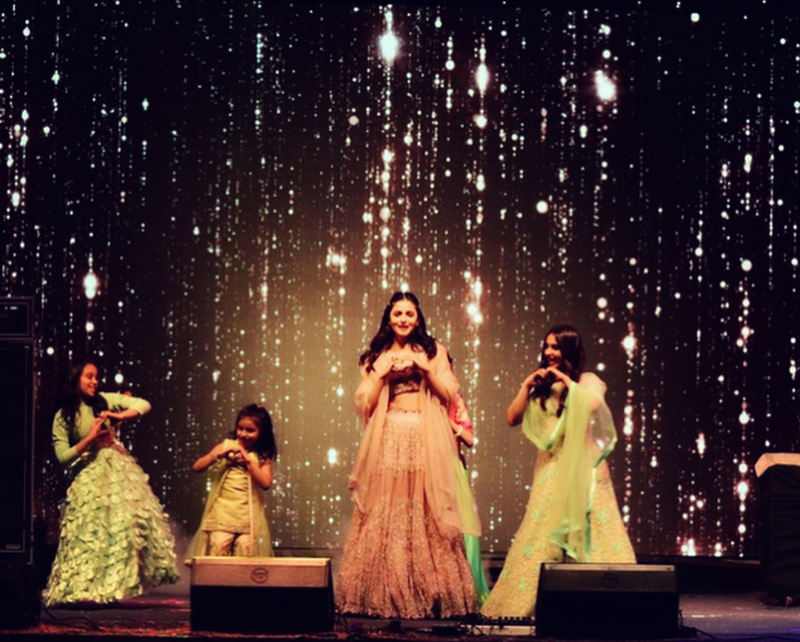 As a perfect bridesmaid, she enjoyed the sangeet night to the fullest and danced on “Hawa- Hawa” song with her friends. After all the partying from the sangeet, the next day was followed by a polo match. 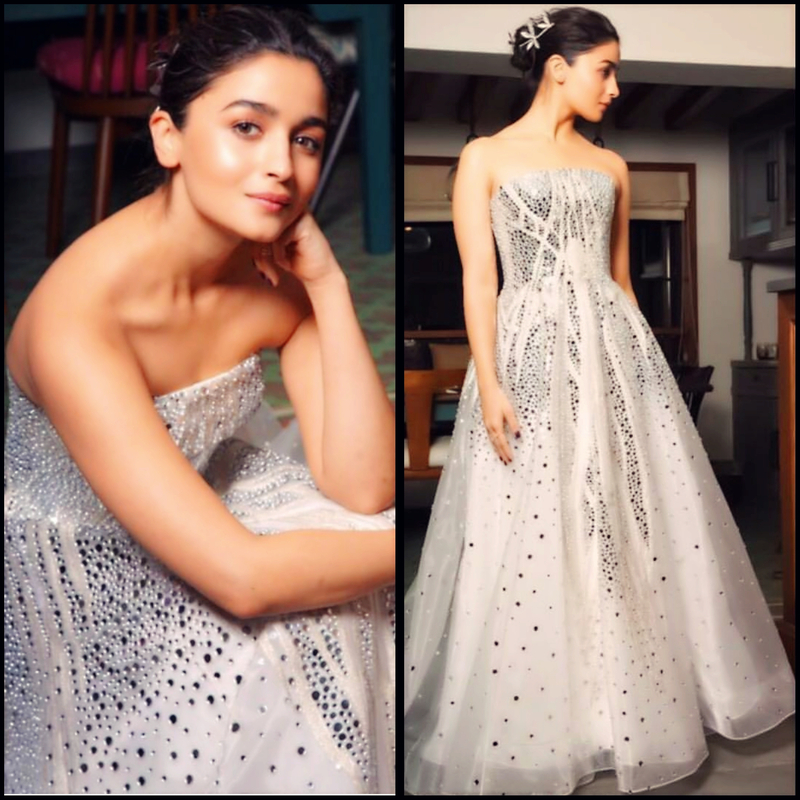 For this daytime event, Alia wore a peach embroidered dress from Gauri and Nainika and fascinator from Delhi Poonawalla. Come to the wedding day, she wore an ash color lehenga and Alia sparkled in this creation by Kresha Bajaj. 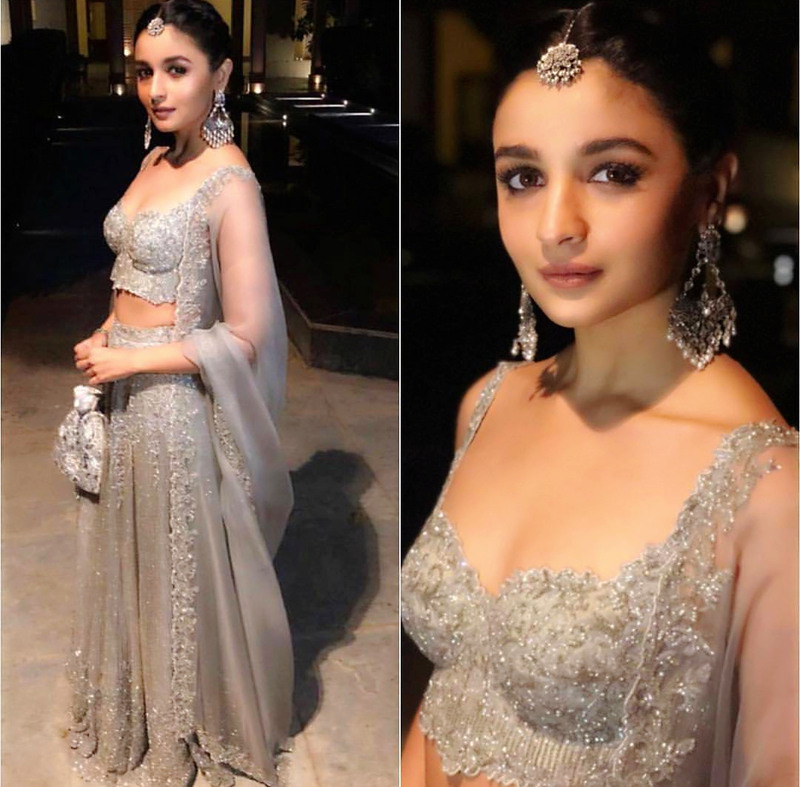 She looks lovely in this silver grey lehenga with minimal makeup and heavy jewelry. And no shadi is complete without the juta chupai rasam. Follow us on Facebook, Twitter, Pinterest & Bloglovin’.